Plan some fun Ten Terrible Dinosaur book activities to go along with the reading of the book. This is a great book that reinforces counting, reading and can help introduce a unit on dinosaurs. Paul Strickland wrote and illustrated Ten Terrible Dinosaurs. The counting book subtracts a dinosaur from the group with each turn of the page. Illustrations create cheerful and colorful dinos, not dark and scary monsters, which makes the book an excellent choice to read aloud in a classroom, library, preschool or daycare. Even parents will find the loveable dinosaurs exciting. The book has a rhyming format, making it easy for children to follow along. Plenty of kids' dinosaur activities can be gleaned from the book Ten Terrible Dinosaurs. The book itself focuses on number, making it a great way to cross math and reading curriculums; additionally, you can also use it in a reading situation to introduce an animal science unit on dinosaur facts. A good mix of activities following a reading of Ten Terrible Dinosaurs is to have some related directly back to the book, while others may focus on dinosaurs in general. The type of reading activity you choose to do will depend on the concept you are trying to reinforce. Scholastic Book Clubs has a "fun stuff" section available with several activities that are perfect for a child who loves the book. Kids can play a memory game, put together a puzzle, create a dinosaur, play a matching game or color a picture online. No Time for Flashcards has several art projects that are perfect for a child who loves dinosaurs. KidsDinos.com has lots of fun online games to play for older kids who still love this classic book. The educational classification game and mutation game are perfect for introducing scientific concepts to children who are new to them. PreKinders has several great ideas for youngsters who want to learn about dinosaurs after reading Ten Terrible Dinosaurs. Try a few of the suggested ideas with your kids, from making the dinosaur skeleton to retelling the story the kids just heard. 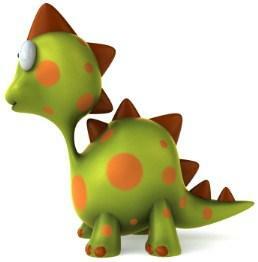 Dinosaur printables are also included on this website. Totally Tots suggests making a dinosaur art project out of the letter D following a reading of Ten Terrible Dinosaurs. While Ten Terrible Dinosaurs is an introductory counting book that focuses on subtraction, it can also be used to help children with their literacy skills. Reading is important, so if children love dinosaurs, this is the perfect book for them. Have kids come up with their own animal counting book. Provide them with lined paper that includes room for an illustration, and ask that they write a rhyming counting story just like the book they just read. Have the pages bound into a larger anthology and placed in the library or laminate a cover for each student to keep in his or her own bookshelf at home. Ten Terrible Dinosaurs book activities are a good way to not only keep kids interested in reading, but also introduce additional concepts like math and science into their world.